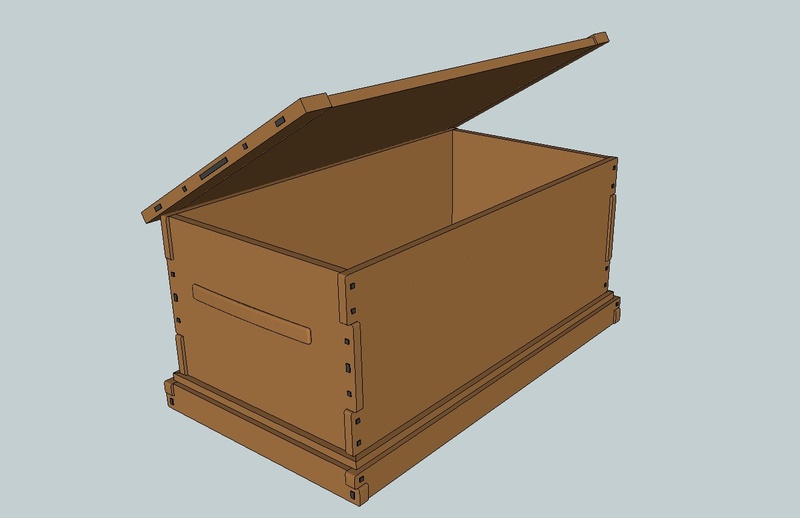 On July 19th we’ll be starting the next Guild Build: The Greene & Greene Blanket Chest. Subscribing members will get this project for free. A La Carte members can either purchase the project directly or upgrade to a 1-year subscription to gain access. The project will feature numerous Greene & Greene techniques including finger joints, ebony plugs, arched handles, and breadboard ends. If you’re not a fan of the Greene & Greene style, you can simply leave the Greene & Greene details out and you’ll still have a beautiful and serviceable blanket chest. And for those of you who might be all-together tired of Greene & Greene, don’t worry. This is the last G&G project we’ll be doing for a while. G&G expert and furniture-maker Darrell Peart, helped us design this chest with modern sensibilities in mind. So build yourself a piece of history by making a modern interpretation of the Thorsen House Blanket Chest. Purchase access today! If you’re a subscriber, you can head directly to the Greene & Greene Blanket Chest hub. Thanks for taking the time to show us both the HVLP route for the dye and clear coat as well as discussing alternatives. Given the time of year, a very large number of us are in climates where the temperatures outside are too cold this time of year for most clear coat options (and as hobbyists very few have indoor spray booths). Of course for any of us making this during the winter, spraying outside is completely impossible. By watching and seeing how much faster the easier the HVLP method is compared t others it has made appreciate that I really need to decide the time of year when I make a project such as this which is physically quite big with a large surface area to finish. One question, I noticed you were spraying both close to the side of your shop. Did the overspray from either the dye or the lacquer get on the side of the building or on the ground or does it evaporate away so fast it isn’t an issue? Honestly, it dissipates so much it almost becomes negligible. But I was also careful to pay attention to the direction of the wind, however mild, just to make sure it was working in my favor. Truthfully, I was more worried about my camera than the building. 🙂 But the same concept applies. I think as long as you’re not within 4 ft of a building it shouldn’t really cause a problem. But results may vary. Experiencing the full build is what i was looking for the most…thanks! i was wondering how I could decide to become a guild member without seeing how it all works. And generally speaking, you are already seeing a lot more than most people see when initially purchasing a subscription. With hundreds of videos on the free site, people are usually pretty familiar with what I offer and they take me at my word on what the Guild projects provide. Keep in mind you will have access to the next project so you’ll be able to experience a full build for yourself. If you enjoy the experience, you still have the subscription option available to you. Thanks! I had the same question. Disregard my e-mail request. I’m a trial subscriber and i can’t access any the blanket chest videos. What am i missing? The blanket chest project was not part of the pre-order bonus. The project provided with the bonus is the one coming up in October. Thanks Mark. Is there a way to make a copy of your videos so I can put them on a disk and watch them later? You can use the download links associated with each video to simply download the files to your desktop. Then you can do with them as you please. Right-click the download link and then “Save As”, “Save Target As”, or whatever option your particular browser gives you. What time does this live feed on August 16 start so we can all watch. Thank you. Hey Ripwood. There is no live session today. Just a regular project video release. Looking forward to this build! I am a big fan of the G&G style.